A semi-historical account of the standoff at an abandoned mission during the Texas fight for independence. 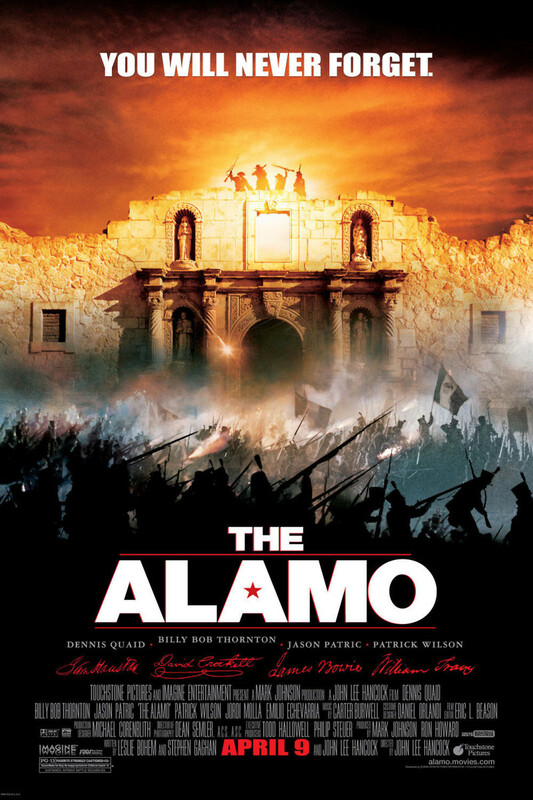 The Texans, led by Colonel Travis, managed to temporarily hold off the Mexican army of Santa Anna. The Texans were out numbered 183 to 2000 and eventually succumbed. After the fall of the Alamo, General Sam Houston led another group of Texans against Santa Ana's army in San Jacinto where they defeated the Mexican army, which eventually led to an independent Texas.